Is your pet a family member or a commodity? That’s the issue lurking beneath the surface of a trio of new laws proposed in Maryland and Virginia. Two of the bills aim to ban or severely limit the sale of cats and dogs from pet stores, while the third seeks to redefine the nature of animal shelters. Yet all speak to the rapidly evolving relationship between us and our companion animals. 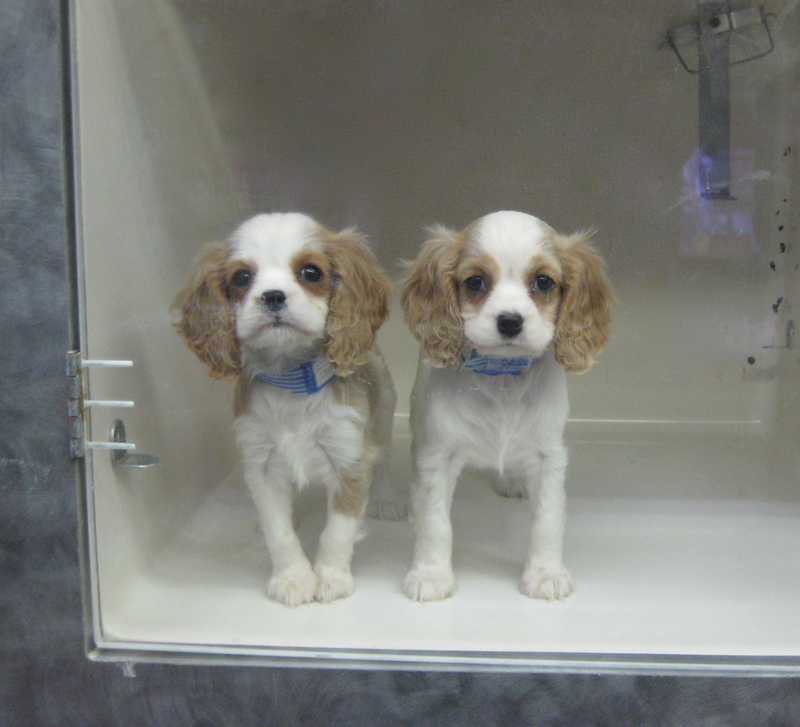 The pet store bills target shops that sell dogs and cats from breeders. Both were inspired by growing public concern about animals that come from so-called puppy and kitten mills—commercial breeding operations that put profit above animal welfare. Pets from such places are often unsocialized and tend to harbor genetic and infectious diseases. The Maryland bill, which was passed in Montgomery County last week, prohibits pet stores from selling cats and dogs obtained from such mills. Stores can only sell pets procured from shelters or rescue organizations, as large chains like PetSmart and PetCo do. The Virginia bill, which is awaiting the governor’s signature, covers the entire state. It is similar to the Maryland bill, though it still allows pet stores to sell from breeders that meet certain qualifications. It also largely prohibits the sale of pets at flea markets and similar venues. The Maryland and Virginia bills match legislation passed in more than 70 localities across the country in the past few years. Though the ostensible purpose of these laws is to improve animal welfare, they speak to the growing bond between us and our pets. In the past 20 years, dogs and cats have morphed from companion animals to full-fledged family members. We take them on vacation, we spend billions on their food and care, and we even risk our lives for them. As a result, we now view our pets less like property and more like people. A few decades ago, we didn’t think twice about buying a cat or dog from a neighborhood pet shop or seeking the latest and greatest breed, like we might a fancy new TV. Today, many of these pet shops have disappeared, and owners are more likely to boast that their pet is a rescue than a purebred. We don’t buy anymore. We adopt. It’s no surprise then that the Maryland bill passed unanimously and that the Virginia bill sailed through both the state’s House and Senate with almost no opposition. It’s also no surprise that both bills are largely moot, as Montgomery County contains only one pet store that sells dogs and cats, and Virginia has only a handful more. But both bills send a powerful message: Cats and dogs are not commodities. The third bill approaches this axiom from a different angle. It doesn’t target pet stores; it targets animal shelters. Or one particular shelter to be exact. Virginia’s S 1381 would redefine a private animal shelter as a facility “operated for the purpose of finding permanent adoptive homes for animals”. The legislation is seen as a direct attack on a Norfolk facility operated by People for the Ethical Treatment of Animals. Though other area shelters have euthanasia rates hovering around 25%, PETA’s kill rate is 88%. Of the 2,631 dogs and cats the organization took in in 2014, all but 307 were euthanized. The situation has long riled advocates of the No-Kill movement, which argues that healthy, socialized animals should not be euthanized. The bill’s supporters hope the legislation, which passed overwhelmingly in the state’s House and Senate and is awaiting the governor’s signature, will force the PETA shelter to close or change its ways. This bill too reflects our changing relationship with our pets. Gone are the days when we turned a blind eye to the millions of cats and dogs put down every year in U.S. shelters. The more we view these animals like family members, the less we can stomach this mass euthanasia. That may be why even prominent animal welfare and animal rights activists have expressed their scorn at PETA’s operation. “It is out of step with the progress being made for our state’s homeless animals for a private shelter to operate not with the purpose of finding animals adoptive homes but almost entirely to take their lives,” Tabitha Frizzell Hanes of the Richmond Society for the Prevention of Cruelty to Animals told The Huffington Post. As our relationship with cats and dogs continues to deepen, we’re likely to see ever increasing public discomfort with the commercial sale of these animals and with the euthanasia of unwanted pets. And we’ll see a lot more legislation like the Maryland and Virginia bills. To hear more about this issue, check out my guest spot on WAMU’s Kojo Nnamdi Show. People don’t realize they are a commodity and you can go to auctions and buy the dogs that are no longer relevant to the breeder just like livestock. It’s disgusting. You should do a follow up post on the Auctions. This needs to banned. I can’t tell you how many people i have met that volunteer and help rescue dogs and cats that do not know this. Hi Carmella, thanks for your comment. I didn’t know about the auctions. Thanks for the info! I’m loving your work, and only recently learned about Citizen Canine, which I just finished reading. Interestingly, the way I learned about you and the book was by posting a comment somewhere about the ballooning of veterinary costs, even though the costs are often out of reach of the average pet owner. Anyway, the impetus for our business was our love for our own animals (dogs and horses), and the fact that we think of them as family members. We couldn’t possibly imagine putting one of our animals down for economic reasons. On the other hand, it could potentially be financially devastating, and there are not a lot of options out there for the average pet owner to afford an unexpected bill. That being said, we aren’t so naive to think we are offering a perfect solution. Some advanced treatments for cancer (like the new Veterinary CyberKnife in Philadelphia) range from $6,000 – $10,000. A few pet owners have the discretionary income to pay for something like that; most of us don’t. We really developed our business in response to the needs of the average pet owner who is facing expenses between $500 and 3 or 4,000 dollars. For the past 20 years the only option typically offered to pet owners was a third-party financing agreement (medical credit card.) There have been lots of problems with this, ranging from low approval rates to pet owners being hit with outrageously high interest rates that are retroactive to the date of original purchase/service. Here in Baltimore we are working to make things at least a little bit better in our corner of the world. I’m pleased to say that what we’re doing is starting to catch on. Pet owners welcome us; vets are slower to warm up because they want their money upfront (even if a third-party finance co. takes 5 – 15% as a fee.) However, most vets acknowledge that there is a huge problem in terms of clients’ ability to pay. They have never had any other way to address it other than to set up promissory notes, ask for community service in return, hold on to 7 or 8 post-dated checks – one vet even held the title to a client’s truck. Anyway, I’m off topic here with respect to your blog post! I enjoyed your book and it gave me a new awareness of the importance of contemplating what we mean by “animal rights.” It seems the definition is a moving target, and that while some animal rights activists claim to love animals, it kind of seems like they hate people. Particularly if they are seizing people’s pets and then euthanizing them. Thanks for your work; I look forward to posting some of your content on our web site’s blog and on our FB business page at http://www.facebook.com/EBCSMaryland. Thanks for your comment Suzanne! Your business sounds like a great idea. I hope it helps a lot of owners–and their pets–out. If we can sell a life…why can’t we sell any life? What makes it right to sell one soul and not a other. If you purchase a dog..it’s your dog. Yet others complain when the dog becomes dinner. Not so much about the fish, or feathers you purchased for dinner. If you can “purchase” something, that something is yours to do as you please. If the pet is truly a family member, you would never consider selling your pet. You can “sell” dogs all day long. But you CAN’T buy it’s soul! !